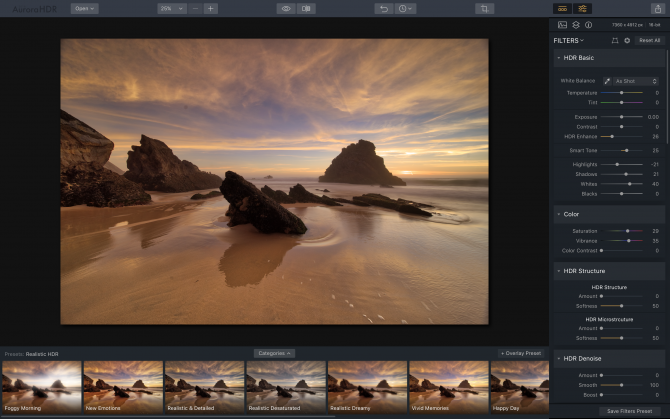 Aurora HDR is a joint project between Skylum and Trey Ratcliff to produce the most powerful, simple and fast HDR photo editing software in the world for Mac and PC. Skylum is one of the world’s leading developers of consumer and professional photography software, serving Mac, Windows, and enterprise customers worldwide. Trey Ratcliff is the world’s most renowned HDR photographer, with over 16 million online followers and over 145 billion views of his images on his website www.stuckincustoms.com, Google +, Facebook and other outlets. When Skylum looked to create the best HDR software ever, we turned to Trey to assist at all stages. Using Trey’s vast experience with the current tools in the market, and advanced technology from Skylum, we have jointly created state-of-the-art software to help photographers of all skill levels make amazing high-dynamic-range photos. Aurora HDR 2018 contains every imaginable tool needed to produce high-quality “next generation” dramatic images, as well as Presets and video training developed by Trey and other Pro photographers that will appeal to every photographer. High Dynamic Range (HDR) photography is a popular photographic technique designed to overcome the limitations of image sensors in digital photographs. This process utilizes multiple exposures of the same subject, each shot at different exposure values (“brackets”). Those brackets are then automatically merged into a single shot which encompasses a greater exposure range.